Do you need a mold testing Las Vegas service? Elite Water Damage Las Vegas is the place you can count on. What is a mold test and how do we perform one? The truth is mold testing consists of taking a specimen of the air or the facade. We will get a mold inspector to analyze the air and facade to discover what fungi are growing in your house. To help you understand the process, you can find more information on the mold testing here. There are two types of mold tests performed, the first is the air sample, and the second is a surface sample. When taking an air sample you can analyze it in different ways. The common method is using a spore trap and works with air passing through it. The air attaches to an adhesive surface as it moves through the trap. This helps the fungi spores to stick to the sticky structure. The spore traps dispatched to a laboratory for testing the mold and analyzed. They will apply stain to the sticky surface for the spores to absorb the substance helping to identify the kind of mildew trapped during the test. One more technique of sampling mold is to culture or grow the spores captured and not used that much. When doing a surface sample, we can do it in three different ways. We can use a bulk sample by taking a portion of the infected area and sending it to the testing laboratory or we can do a swab sample. With the swab sample, we use a cotton swab and rub it across the infected area. We would measure out the area before taking a sample. This cotton swabs dispatched to the mold-testing lab for analysis. The last method is the tape sample. We use a clear tape pressed against the infected area and send it away for testing. How Long Do the Test Results Take? Mold test results can take up to two business days to receive the results and all depends on when the samples were taken. Here at Elite Water Damage Las Vegas, we send the samples to a local test lab for testing where they place it in their queue. Depending on how busy they are, we can have the test results back in 48-hours. If mold is visible, this does not mean it is dangerous and you can kill it with a cleaning product. This fungus does not need testing and if they are invisible, an air test can determine what type of mold is present in the home. 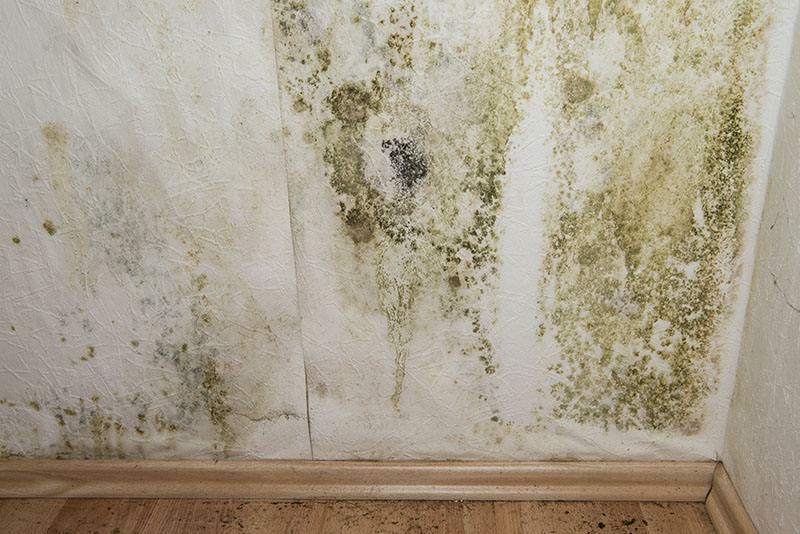 Mold that has dried up due to the lack of moisture can become airborne and causes allergies. The only way of testing which mold spores present in the home is with an air sample. The biggest breeding place for mold spores is the air conditioner. With the humid and moist air passing through the AC, it helps to boost the growth of mold. The mildew can grow in the air return, ducts, and the evaporator coil. No matter what your concerns are about mold infestation if you are, uncertain contact, us today to have a mold test done. You can rather be safe than sorry in the long run.